Regular and seasonal maintenance is essential for optimum performance and to provide the best possible user experience. 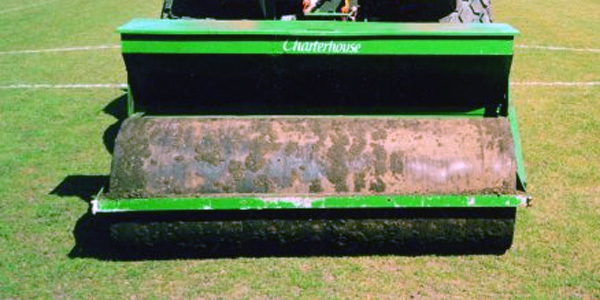 During the playing season, grounds require regular maintenance to keep a healthy surface. 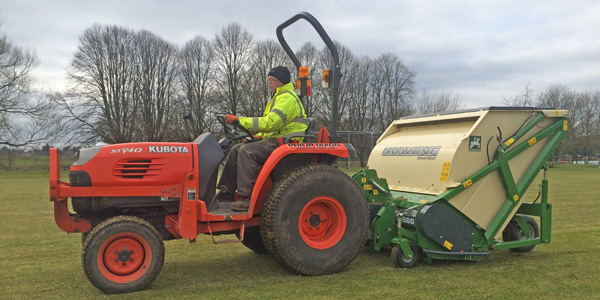 We recommend a regular maintenance programme of works including regular cutting, top dressing, verti-draining, scarifying, fertilising, over-seeding etc. 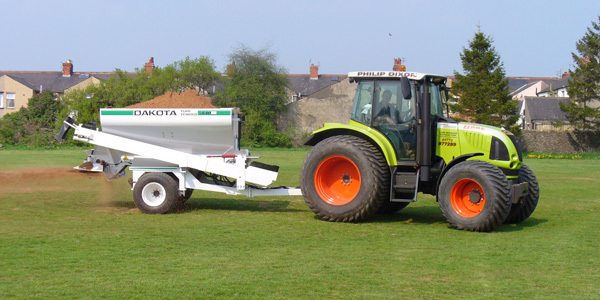 A maintenance method used to relieve compaction is to use a Verti drainer. This punches holes to aerate the ground and in addition encourages root growth. 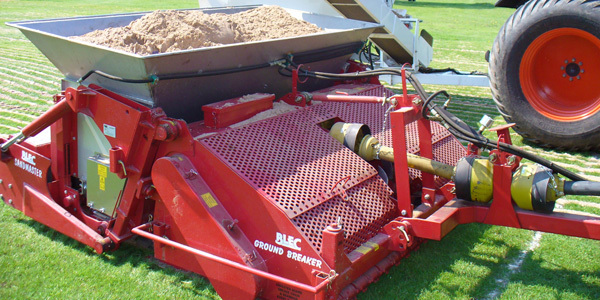 The Blec Ground Breaker and Sand Master relieve compaction and installs a secondary drainage system of sand bands to link directly to the underground drainage system. The bands are at 260mm centres and up to 200mm deep. Good method for rejuvenating slit drains. 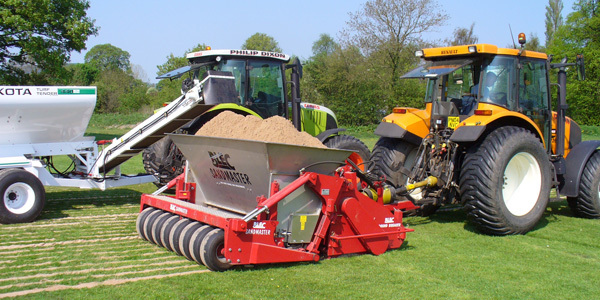 The Ground Breaker can be used without the Sand Master to relieve compaction in one pass. 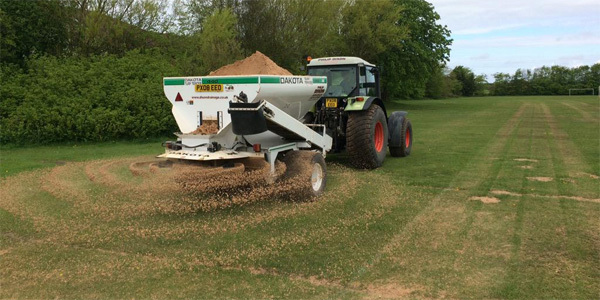 The application of topdressing sands assists with the maintenance of surface drainage. 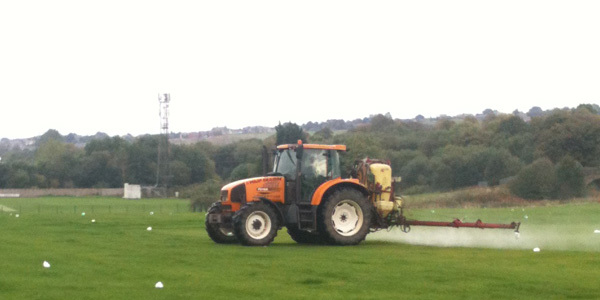 This works well when done in conjunction with verti draining. 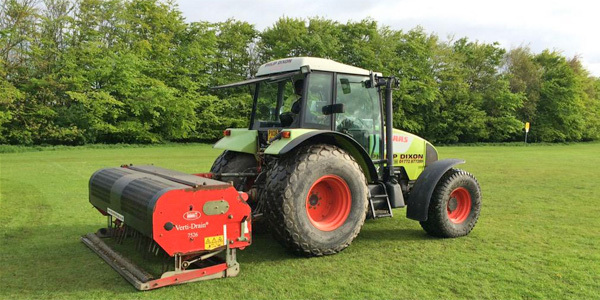 Mowing, scarifying, collecting, chopping and rolling in one pass with the AMAZONE. Its versatility makes it a reliable helper all year round. 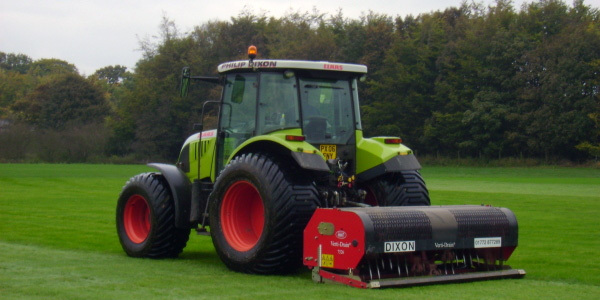 In spring, you can use it to scarify and mow grass on sports fields and golf courses without going round twice. In summer, your it will take on the intensive and extensive maintenance of all types of green areas, whereas in the autumn, it will pick up dead leaves, however high they are piled up. Rugged and reliable producing high quality work, and is the ideal assistant for professionals. 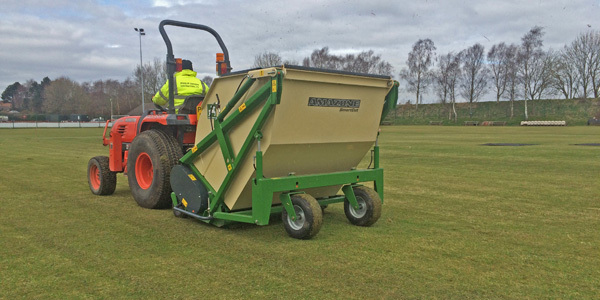 A useful piece of maintenance equipment which we have is the Charterhouse Overseeder which allows seeding to be done without cultivation on either small or large areas. Slits are cut, the seed dropped in and then the roller closes the slit. This operation can be done in either one pass or several passes.